We would love to show you what we can do for you when it comes to Tulsa Christmas Lights. Also, stop by our website, www.greenleafweedcontrol.com, where you can gain more information about our company and all the different services we offer. If you prefer a more hands-on approach to your Tulsa Holiday Lights displays, the experts at Green Leaf Lawn will work with you to complete your vision to your best vision. If you’d like more information about our residential Tulsa Christmas Lights displays, or you want more information about our commercial holiday lighting services, talk with Green Leaf Lawn today at 918-640-6405. Our goal is to exceed your expectations and we strive to do this with every job that we start. We will examine your property and see how to best accentuate your homes natural beauty and landscape. Our design will work cohesively with your homes layout and we will provide a unique decorated display for your individual taste and desire. Our professionally trained installers of Tulsa Christmas Lights are fully equipped to tackle any lighting project you can imagine, and our proactive maintenance ensures a perfect display throughout the season. Your safety is a primary concern, and your sanity can be insured whenever you call the experts at Green Leaf Lawn. Don’t climb up on the ladders out in the cold this holiday season trying to install your own Tulsa Christmas Lights displays. Green Leaf Lawn wants to take care of all of your Tulsa Christmas Lights needs to your satisfaction. Choose Green Leaf Lawn whenever you need truly outstanding lawn care services and Tulsa Christmas Lights installers. Our company was founded by Jamie Nix and Josh Mathias, and they are some of the most passionate people in the Tulsa, Oklahoma area when it comes to providing expert service for the people that need lawncare in our community. We have set up a service that truly is valued and gives back to the community in a variety of different ways. One of the things we do is called “Cutting for the Kids”. This is a program that works by donating a portion of all the revenue we made from all the services we render to the people in Tulsa. Every time someone uses our services we allow the customer to name the school district in which they would like to make a donation and we will help support the children in our community. Set up a free estimate today and allow us to come out and assess your lawn in your landscape. We will always prescribe the perfect solution and try and executed throughout the year to make sure that your home is beautiful and stays that way. Some of the services that we offer range from different types of lawn care maintenance depending on what time of year it is. When it comes to taking care of your lawn we do weed control, fertilization, flower bed maintenance, weekly lawn maintenance, hedge trimming in reshaping, weed removal, small tree removal and planting, sod installation, small shrub removal and planting, spring cleanup since scalping, and fertilization that starts with rates that are extremely affordable. Our residential lights expertise is unmatched by any company in the Tulsa, Oklahoma area. We have been providing Tulsa Christmas Lights for a great number of years and we don’t plan on stopping anytime soon. Our goal at Green Leaf Lawn is to help you relax this season and let the professionals decorate your home for you. There’s nothing quite like the beauty of a decorated home that features dazzling, brilliant lights to signal in the holiday season. We love seeing our community sparkle and we do this every year to make sure that the magnificent light and festive displays can be seen for miles around. Help us celebrate this joyous time of year by calling Green Leaf Lawn today and allowing your home to come alive with the magic of shimmering and glittering lights decorating the facade of your beautiful abode. We would like to reflect your holiday cheer with professionalism and provide you with the Tulsa Christmas Lights that will set your home apart. 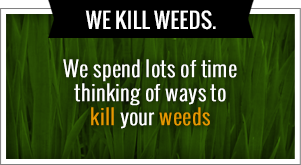 Give us a call today at 918-640-6405 and feel free to visit us online for more information at www.greenleafweedcontrol.com. Jamie Nix and Josh Mathias started this company and devoted their craft providing the people of Tulsa with some of the best Christmas lighting decorations are going to find anywhere. For over 10 years we have been providing amazing lawn care services and we will not let up anytime soon. Our services include mowing, holiday lighting, landscaping, weed killing, and much more. There is simply no other lawn care service that can bring you a beautiful, rich lawn and the Tulsa Christmas Lights installation that you’ve been looking for. Our professionals are here for you and we will help you with any lawn project you want that will transform your home. We do weed control, fertilization, hedge trimming in shaping, weekly lawn maintenance, flower bed maintenance, leaf removal, sod installation, small tree removal and planting, shrub removal and planting, fertilization, and a lot of other services. Those are some of our summer activities, but we also will operate to the fall in winter with leaf cleanups from lawns and landscape beds, seasonal flowers and mulch, gutter cleaning, trimming back perennial plants, scalping, and a lot of other services. You’re in good hands when you choose Green Leaf Lawn. One of the things that we do is pride ourselves on providing amazing quality in our line of work. We do so in a timely fashion and we can get in and out before you even know what’s happened. In no time flat our team will leave your home looking amazing and will focus on putting the very best attributes of your home forward with our lawnmower or hedge trimmer care. We are extremely accountable a cutting lawns and we are very fast at what we do. This saves you both time and money and allows you to focus on the things in life that are the most important instead of lawn maintenance and Tulsa Christmas Lights installation all displays. 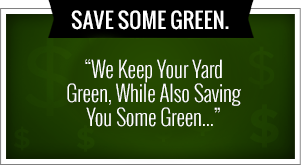 Call Green Leaf Lawn today for the very best in the business.